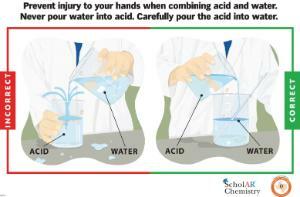 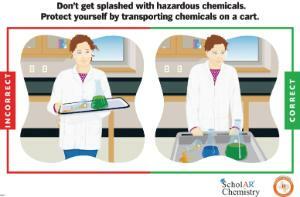 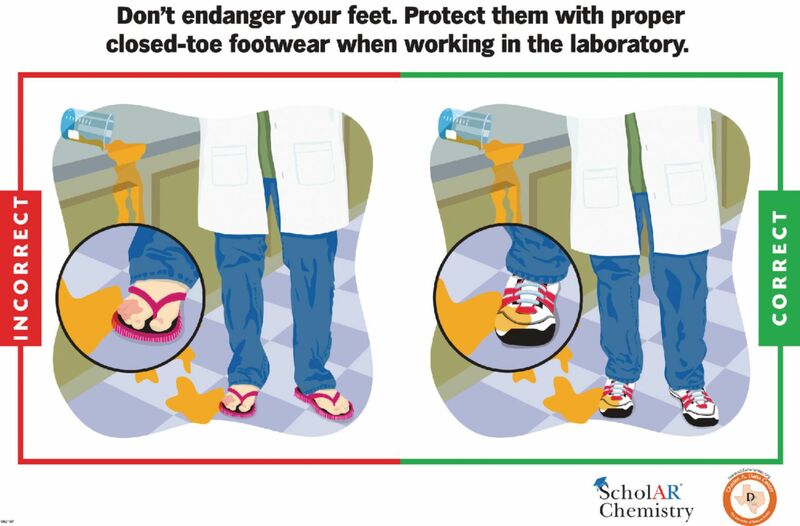 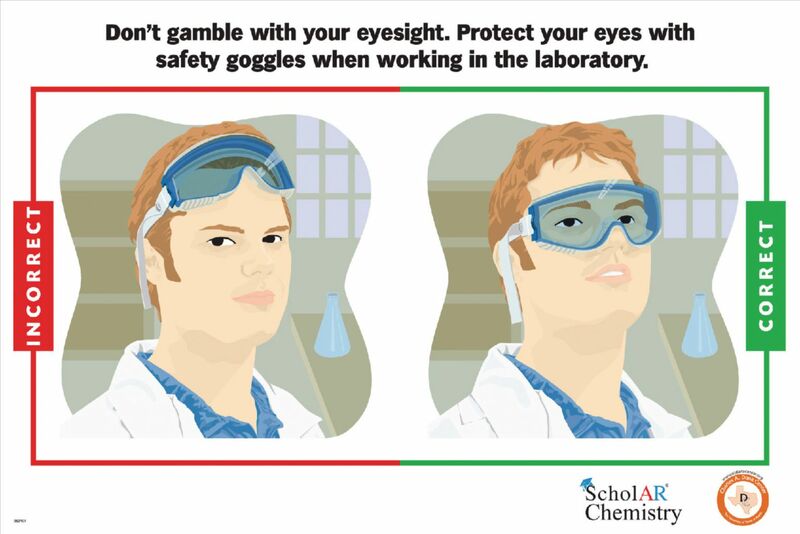 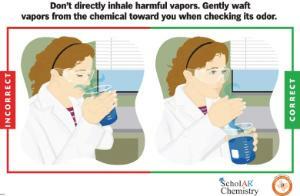 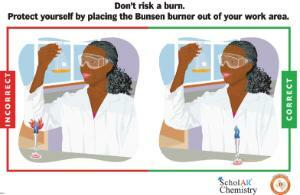 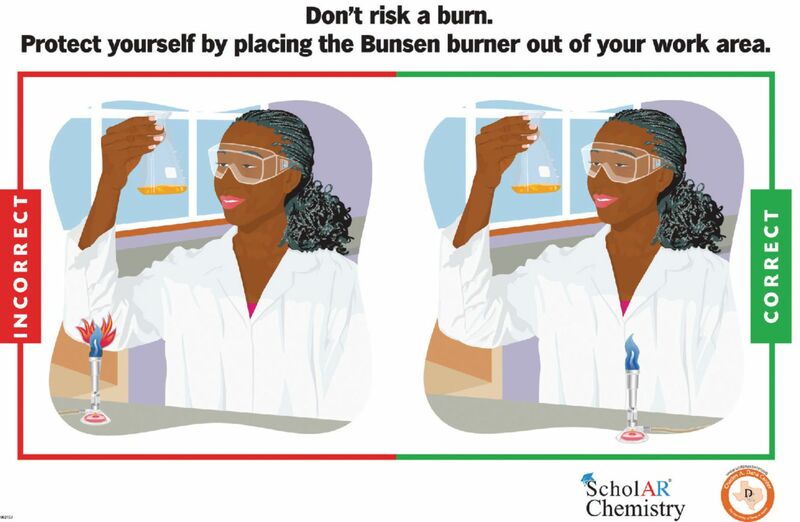 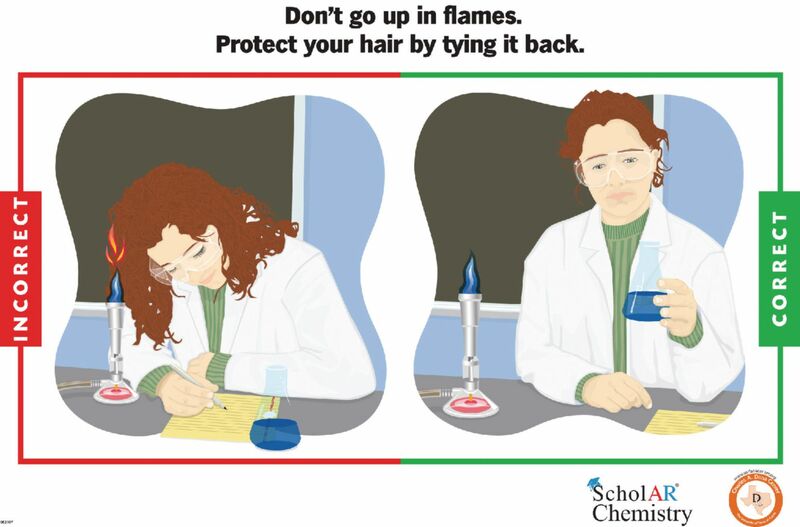 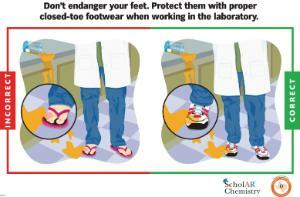 Ward's Laboratory safety poster set establishes rules in the lab. Chart topics include wafting, combining an acid with water, tying up hair, safe placement of a Bunsen burner, safely transporting chemicals within the lab, wearing goggles, and appropriate footwear. Each colorful poster in this series illustrates a different safety guideline for the laboratory.